At the age of 26, she was the first woman in Space. Valentina Tereshkova was born in Maslennikovo, near Yaroslavl, in Russia on 6 March 1937. Her father was a tractor driver and her mother worked in a textile factory. Interested in parachuting from a young age, Tereshkova began skydiving at a local flying club, making her first jump at the age of 22 in May 1959. At the time of her selection as a cosmonaut, she was working as a textile worker in a local factory. After the first human spaceflight by Yuri Gagarin, the selection of female cosmonaut trainees was authorised by the Soviet government, with the aim of ensuring the first woman in space was a Soviet citizen. On 16 February 1962, out of more than 400 applicants, five women were selected to join the cosmonaut corps: Tatyana Kuznetsova, Irina Solovyova, Zhanna Yorkina, Valentina Ponomaryova and Valentina Tereshkova. The group spent several months in training, which included weightless flights, isolation tests, centrifuge tests, 120 parachute jumps and pilot training in jet aircraft. Four candidates passed the final examinations in November 1962, after which they were commissioned as lieutenants in the Soviet air force (meaning Tereshkova also became the first civilian to fly in space, since technically these were only honorary ranks). Originally a joint mission was planned that would see two women launched on solo Vostok flights on consecutive days in March or April 1963. 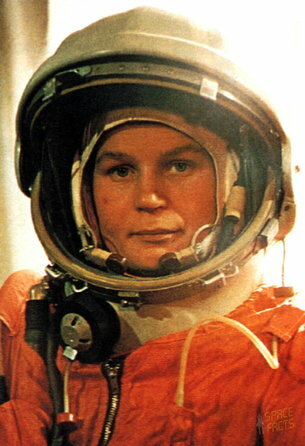 Tereshkova, Solovyova and Ponomaryova were the leading candidates. 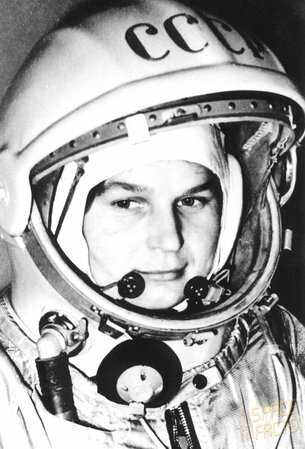 It was intended that Tereshkova would be launched first in Vostok 5, with Ponomaryova following her in Vostok 6. However, this plan was changed in March 1963: Vostok 5 would carry a male cosmonaut, Valeri Bykovsky, flying the mission with a woman in Vostok 6 in June. The Russian space authorities nominated Tereshkova to make the joint flight. After watching the launch of Vostok 5 at Baikonur Cosmodrome on 14 June, Tereshkova completed preparations for her own flight. On the morning of 16 June, Tereshkova and her backup Solovyova both dressed in spacesuits and were taken to the launch pad by bus. After completing checks of communication and life support systems, she was sealed inside her spacecraft. After a two-hour countdown, Vostok 6 lifted off without fault and, within hours, she was in communication with Bykovsky in Vostok 5, marking the second time that two manned spacecraft were in space at the same time. 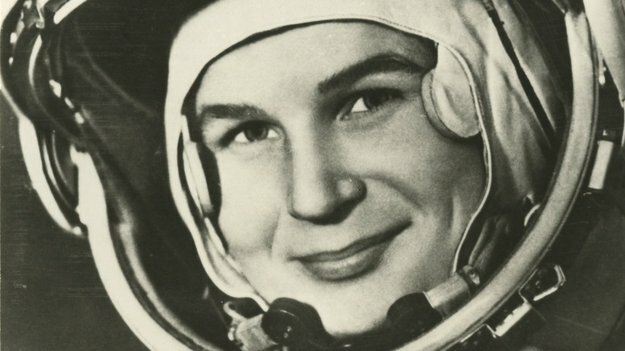 With the radio call sign ‘Chaika’ (‘seagull’), Tereshkova had become the first woman in space. She was 26. Tereshkova’s televised image was broadcast throughout the Soviet Union and she spoke to Khrushchev by radio. She maintained a flight log and performed various tests to collect data on her body’s reaction to spaceflight. Her photographs of Earth and the horizon were later used to identify aerosol layers within the atmosphere. Her mission lasted just under three days (two days, 23 hours, and 12 minutes). With a single flight, she had logged more flight time than the all the US Mercury astronauts who had flown to that date combined. Both Tereshkova and Bykovsky were record-holders. Bykovsky had spent nearly five days in orbit and even today he retains the record for having spent the longest period of time in space alone.